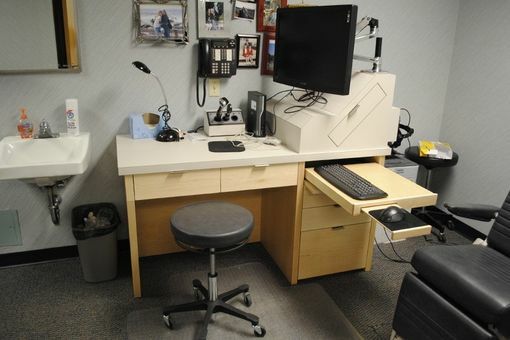 This set of six desks was constructed for use in an eye doctor's office. Each desk is constructed in maple plywood with solid maple edging and drawer fronts. Manufactured drawers operate on Blumotion slides. inlays are kingwood. 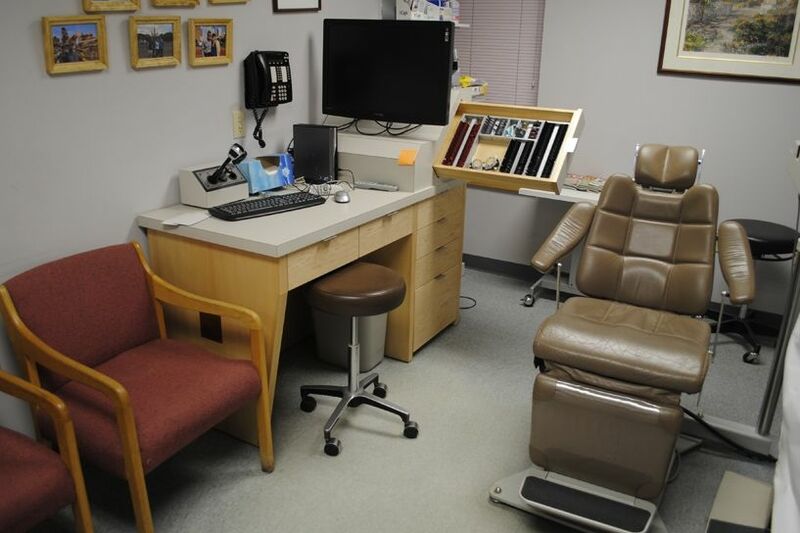 The upper box on each desk houses eye exam equipment and supports a coputer monitor, CPU and associated wiring.